"Gardens should be a series of diverse secrecies"
Diverse Secresies: The Garden Photographed offers an eclectic mix of work by artists with a shared passion. For centuries, artists have produced garden imagery as documentations, as records of the growing places of respite which women and men continue to create for themselves. What is relayed more often than not is less evidence of fact than an elicitation of solitary thoughts / dreams / desires. Paradisean, often, yet edged always with indeterminacy and sometimes apprehension. Supported by the Canada Council and Mido Framers, Vancouver. 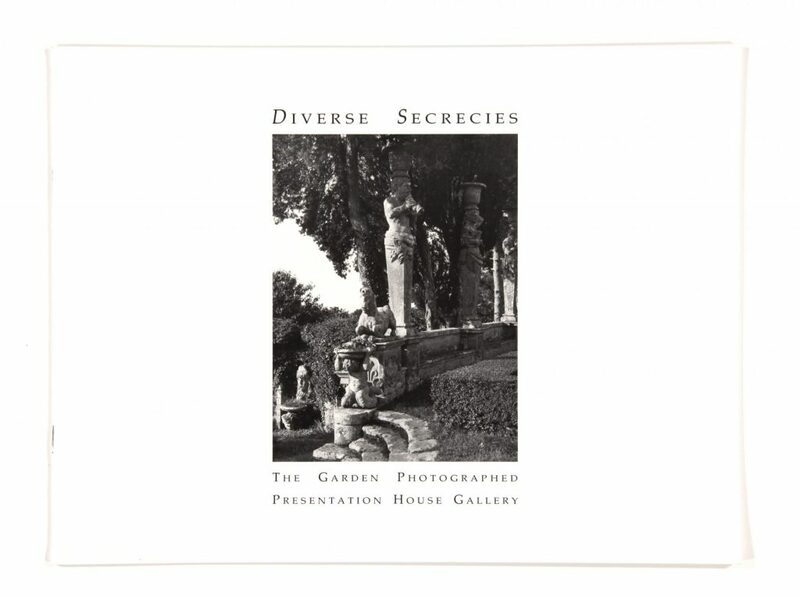 Diverse Secresies: The Garden Photographed offers an eclectic mix of work by artists with a shared passion. For centuries, artists have produced garden imagery as documentations, as records of the growing places of respite which women and men continue to create for themselves. What is relayed more often than not is less evidence of fact than an elicitation of solidary thoughts / dreams / desires. Paradisean, often, yet edged always with indeterminacy and sometimes apprehension. Artists in the exhibition are: James Anderson, Linda Covit, Moyra Davey, Ingrid Dinter, William Eakin, Geoffrey James, Dan Milek, Tim Porter, Marcus Schubert, Stephen Shore. Josef Sudek, Jan (Koot) Westendorp, Curated by Gallery Director Karen Love. Catalogue includes an introduction by Karen Love and text by E. Theodore Lindberg.